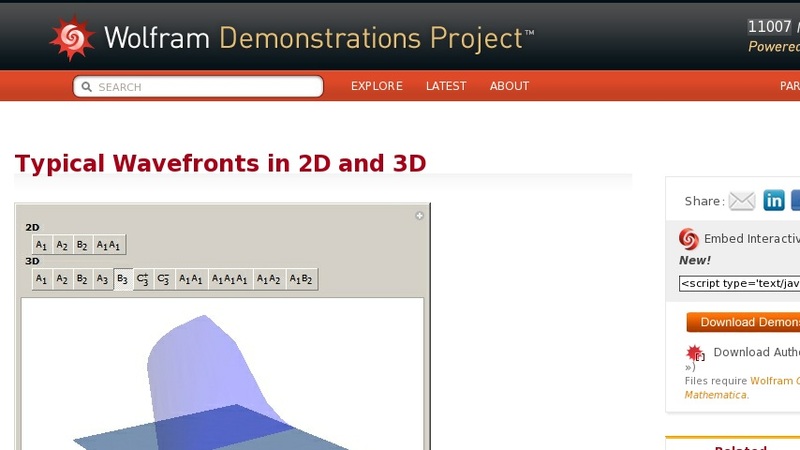 This Demonstration shows all "generic" wavefronts and boundary wavefronts in the 2D plane and in 3D space. It also shows all generic intersections of such wavefronts. You can observe their shapes from any direction by rotating the 3D images, which will help your understanding of the structure of generic wavefronts.